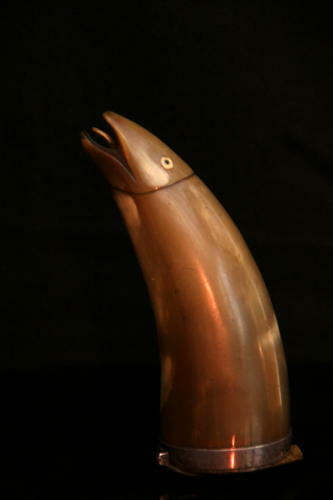 Nicely carved ,patinated and tactile, Salmon or fish form snuff / tobacco box. Nicely detailed with inlaid eyes and protruding tongue. Scottish 19th Century.